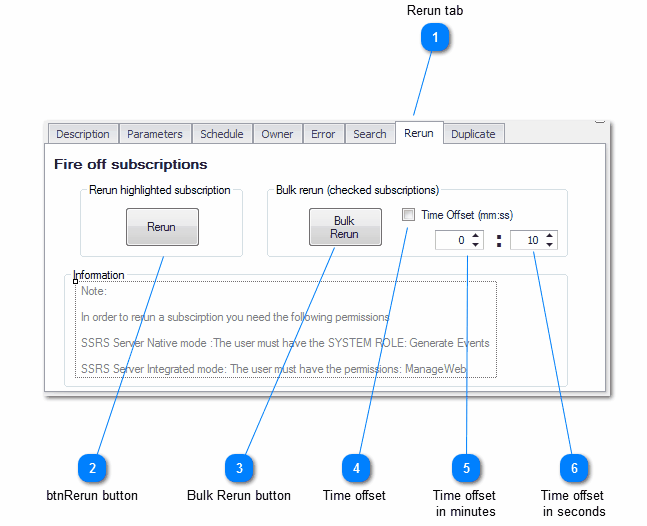 How many times have you had to rerun subscriptions because of one of the following reasons? ETL process failed, resultant reports need to be rerun once ETL process has been rerun. Data issues in database. Need to rerun reports. Server outage. Need to rerun reports. Rerun fires off a subscription without adding a new subscription. To rerun subscription click on the rerun tab. 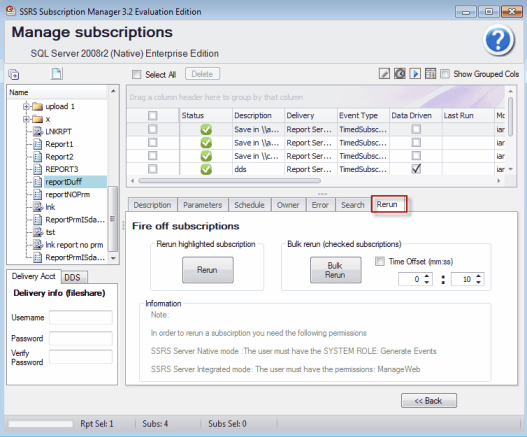 4 Give time offset for rerun subscriptions. The time offset is the delay before the next checked subscription is fired off.